Mr. Avinash Kanvinde, a paint and Polymer technologist and an interior designer, has led the company with great integrity and has earned a lot of goodwill over the years. He has an experience of 35 years in the field of Building restoration and rehabilitation. He is responsible for the tremendous growth of Kanvinde & Kanvinde. Mr. Avinash Kanvinde apart from being a successful businessman, he is a very fun loving person and also peruses his hobbies of singing, reading, music etc. Mr. Avinash Kanvinde has recently completed a two day certificate course conducted by Micro, Small & Medium Enterprises (MSME), Government of India in 'Entrepreneurship Development training program on Solar Energy Technology'. He is a strong advisory to Mr. Shriyans Kanvinde and a backbone of Kanvinde & Kanvinde. This young Entrepreneur leading Kanvinde & Kanvinde is full of positivity, innovative ideas, determined and committed to providing you the best services in Waterproofing, Civil and Structural repairs, painting, Interior Designing and decoration in Mumbai. 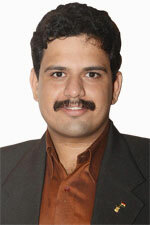 A graduate Bachelor in Mass Media with Specialization in Advertising and a double post- graduate- MBA in Marketing and Post-graduate diploma in Event Management from Mumbai University, Mr. Shriyans Kanvinde incorporates aesthetic values which come from an age old generation of Civil Engineers and Architects in his family. His quest for providing quality services has also trickled down to his employees and this work force together makes a great team to render best of their services to our Customers and understand their requirements. Mr. Shriyans Kanvinde is also involved in various social cause activities and leads a group of enthusiastic entrepreneurs 'Udyogmanch' and is a known face in Mumbai Business circle. He was an ex- governing council member and ex-Chairman of Young Entrepreneurs Wing of Maharashtra Chamber of Commerce, Industry and Agriculture (MACCIA). He is also a member of the Maharashtra Economic Development Council (MEDC), Amhi Udyogini and Marathi Vyapari Mitra Mandal. 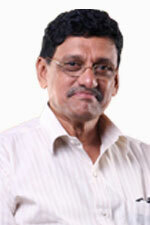 Mr. Shriyans Kanvinde has faith in virtues like honesty and confidence in client fulfillment. Our customer trust is more significant to us. Our mission is to uphold the nature of work embraced with the backing of an inspired and committed workforce.